Exercise in warm water is therapeutic for your body and can accelerate your progress toward healing an injury, improving mobility, or increasing strength and flexibility. The water reduces inflammation and decreases pressure on joints while increasing blood circulation, allowing injured areas to recover sooner, and the resistance and warm temperature relax your muscles, reducing spasticity and pain. Simply being in the water allows you to activate muscles and move your body in ways not possible on land. Waterbabies is proud to partner with instructor Julie Berquist to present aquatic exercise classes to the Waterbabies community! Julie is a certified Aquatic Fitness Instructor and has been leading aquatic classes since 2005. She certified with the Arthritis Foundation Aquatic Program in 2002 as an Aquatic Program Instructor, and in 2003 with the Aquatic Exercise Association as an Aquatic Fitness Instructor. Join one of our aquatic exercise classes today! 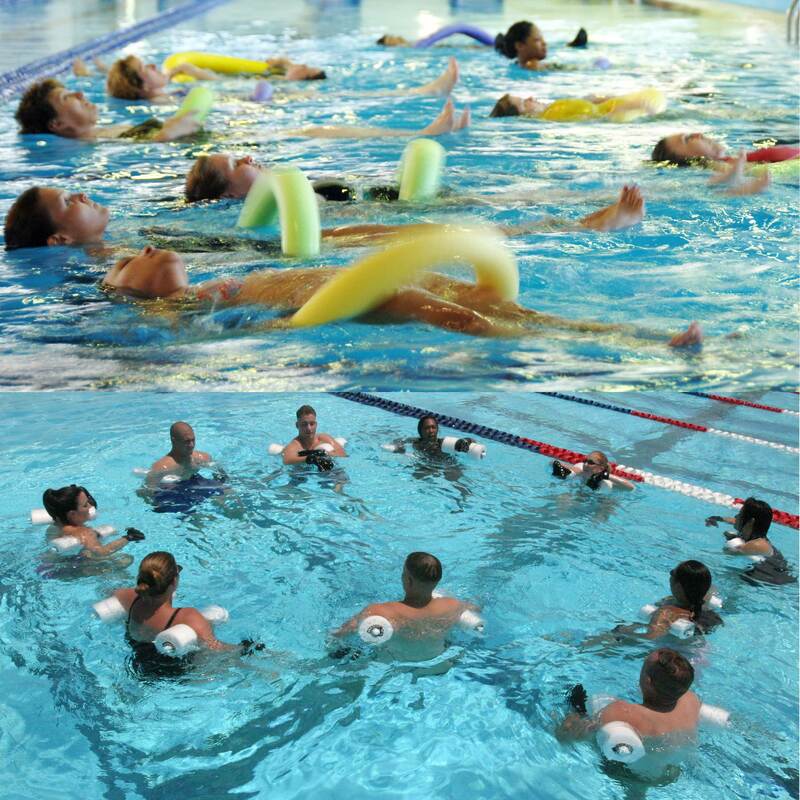 Waterbabies Aquatic Exercise classes are open to adults of all ages and abilities. You must purchase a daily pass or multi-use stamp card to attend. These are available at the Renton Waterbabies Aquatic Center and can be purchased any time during regular business hours. During this class you will engage your core muscles in a targeted way to develop, improve, and maintain correct body alignment, posture, equilibrium, and your perception of your body as you move. We teach this class with a progressive format, putting a focus on breathing and high quality of movement, all set to slower, appropriately-paced music. Get reacquainted with muscles you forgot you had! This class is for people who are recovering from an injury, have chronic mobility problems, endure back pain, arthritis, or fibromyalgia, or are returning after a long term of not exercising. It is also excellent for women who are pregnant and want to maintain a healthy body without intense strain or discomfort. Stretch, tone and strengthen your muscles while you increase your range of motion and flexibility in all joints, improve balance, and increase strength and endurance. This is a moderately paced class where intensity can be increased or decreased to address the needs of individuals.